For more information, check out my post How to Make Raw Butter. Guess what, I did just that yesterday! 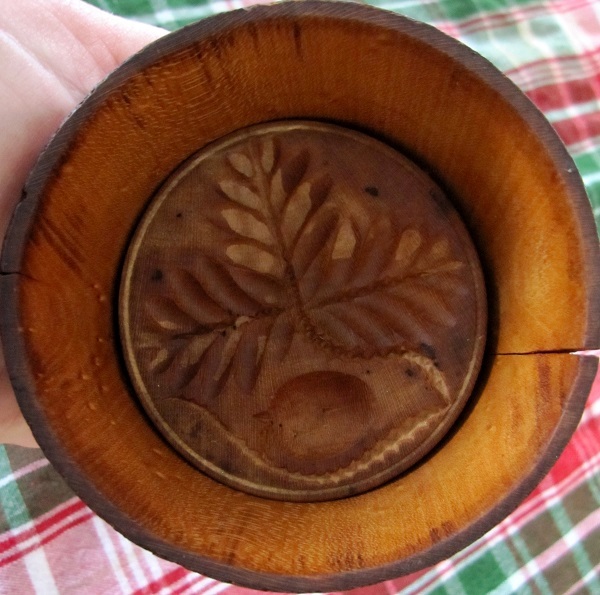 My friend Terri gave me a very special gift this year, an antique butter mold that has been in her family for ages. Her mother moved out of the old farm house not so long ago and told Terri to take anything she wanted home with her. The butter mold made the trip back to Wisconsin, along with some other cool family artifacts and heirlooms. Terri saw my post about making raw butter and gave the mold to me, since she doesn’t have a great deal of storage or a need for a butter mold. She figured I would make better use of it. So, for the first time ever, I molded butter yesterday! I started by washing the mold with lukewarm water. Then I patted it dry and used canola oil to coat the entire mold. It has a crack along one side and the wood was very dry, so I figured it would be a good idea to treat the mold to prevent the wood from drying out anymore. With the wood treated and glowing richly on my kitchen counter, I got started on making a fresh batch of butter. The cream from one gallon of Jersey milk made just the right amount of butter for my “new” mold. Once the butter was mashed into the mold, I put it in the refrigerator to chill. Taking the butter out of the mold was the most difficult part of the process. I had to let the butter warm up enough to push it out. Next time I will need to do a better job of oiling the mold, since the spots that stuck to the butter had less oil. The whole process was very simple and rewarding. Now I need to go back to those antique stores and give the butter molds another chance! Have you ever used a butter mold? I would love to hear about your experiences! I’m so glad I ran across this post. I’m currently doing a unit with my students on the book Little House in the Big Woods by: Laura Ingalls Wilder, she describes a butter mold in the book, with a strawberry and two leaves. I was just doing a little research, trying to find some information for my students to help them understand this pioneer/homesteading life, and I just found your post, about a butter mold nearly identical to the one described in the book! Thank you! I’m so glad that this was helpful! Best wishes with your class! My parents have had a single jersey milk cow, since they moved out to the country when I was 12 (more than 20 years ago). Even with a family of 6, one jersey produced more milk than we could drink so we were always finding other things to do with it. Making fresh butter was something I considered a chore then, but miss now. My dad is handy with wood and after being gifted with an old butter mold, made one of his own. Our first cow was named Buttercup, so he carved a buttercup flower/plant for the picture. I will always remember pressing those sweet little circles of butter. I think the one he made held about 1/3 or 1/2 cup of butter. The older one we had was bigger, maybe a whole pound of butter, and we used it for family gatherings. I don’t believe my mom used oil to keep the butter from sticking to the mold, though I could be wrong, and it may have been oiled on other days. I do know that she soaked the whole mold in ice water between pressings. I believe we saved up a gallon of cream then used it to make butter, so we ended up with several to press each time, and wrapped them individually in waxed paper. Though I don’t remember the exact amount, mom probably still does, she used them for cooking and liked that they were all measured out already. I still haven’t tried my hand at butter yet but I LOVE all those antique farm items – kitchen items, farm tools, I love them all!! Butter is so easy to make 🙂 I posted a while back on making raw butter in a blender…so easy! I’m the same way…need a bigger house for more farm-tiques! I love that! If only I had a cow…. 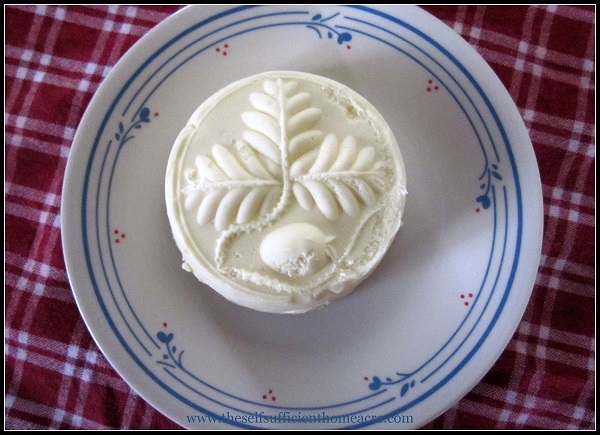 I gave my daughter a butter mold but it didn’t have such a pretty design as your’s does. I think I need to find one for myself now! Hi Lisa Lynn and happy New Year! Thank you for your submission on Seasonal Celebration Wedensday at Natural Mothers Network! I love your butter mold and your butter looks so gooooood! Thanks so much Rebecca! See you tomorrow! 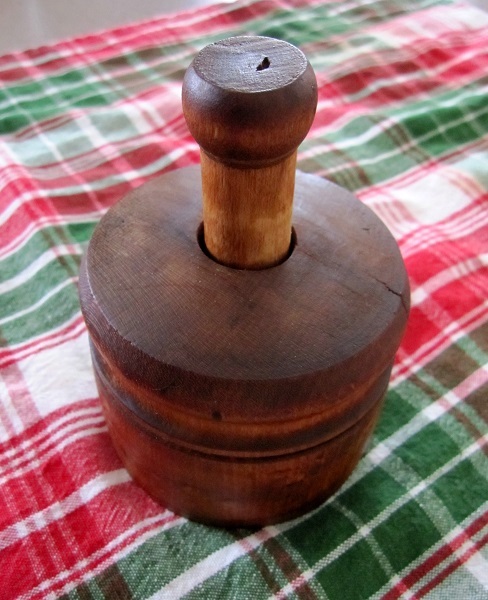 I have my grandmother’s wooden butter mold. We also make butter, occasionally with milk from our jersey. Your molded butter is beautiful! I may just have to try it! How pretty! We make our own butter ~ I’ll have to see now if I can find a mold. 🙂 Isn’t it though?! I love it too! I have never seen a butter mold like that before- what a beautiful gift! We’ve been buying Amish butter but are hoping to try making some of our own soon. 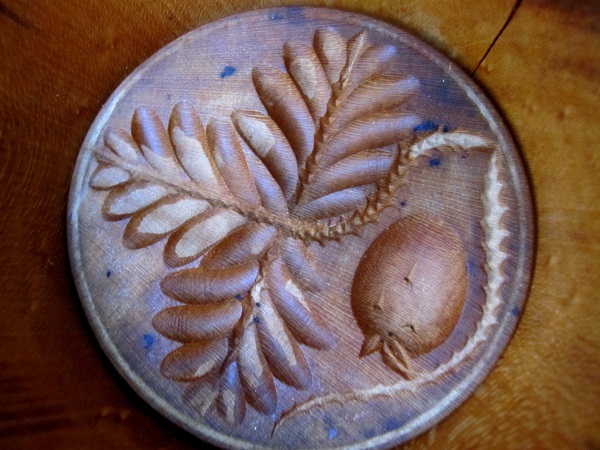 I’m going to keep an eye out for a lovely butter mold when I’m out at auctions and on my thrift shop/yard sale hunting! It is so wonderful to have access to raw milk now, I love it! And there are so many things I can make with it, including butter 🙂 I hope you get a chance to make your own with a butter mold too! What else are you making with the raw milk? I know…isn’t that great! I wonder if the antique shops would yield better results? Best wishes with finding your own! I think you did a great job! And thank for the mini tutorial on how these work. I’m in love with these old butter molds also and have searched high and low at estate sales and auctions. No luck so far. But it’s even better that you know where this one is from and who has lovingly cared for it. 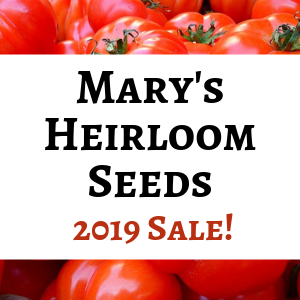 Antique ones would be lovely, but you can also start your own collection … for your grandchildren! You can get beautiful molds at Lehman’s, in Dalton Ohio. Website is http://www.lehmans.com. My husband gave me a gift of one large and three small molds … they’re beautiful, and I’ll pass them along to my son someday. What a great idea! I’ll have to check their catalog out…I hadn’t noticed the butter molds before! Thank you Kristi! I’m so blessed to have friends who do such nice things for me 🙂 And yes, you should get one! Wonderful! I got tears in my eyes knowing it is being used. I’m guessing the last time it was used was in the thirties…I can see my Dad and Grandpa Thornton smiling.